Home prices took off in 2012 and went on a tear in 2013. 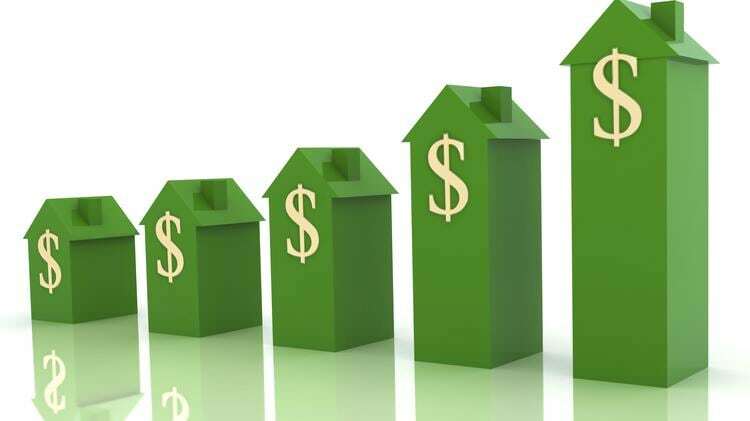 And while the double-digit growth has slowed somewhat, prices are still heading higher. In February, prices rose 4.2% from the year prior, according to the S&P/Case-Shiller U.S. National Home Index. And some local markets are on fire, with bidding wars and offers above asking price becoming common. In San Francisco, 74% of homes listed earlier this year, sold within two months of hitting the market, a recent Trulia report showed. The median asking price of the City by the Bay was $1,099,000. Several other areas in California, along with Seattle and Salt Lake City are experiencing similar real estate booms, the report found. Home prices in Denver and Dallas have exceeded the levels hit during the housing boom, according to S&P/Case-Shiller. If prices continue to outpace inflation and income in these areas, that can eventually become a problem. Homeowners aren't selling: Current homeowners list their home to either trade up or downsize, opening up inventory for first-time buyers to come in. One can't happen without the other. “The whole train has to move at the same time,” said Gumbinger. But current homeowners aren't flooding the market with “For Sale” signs. Some are worried they won't be able to find a new house or they're still waiting to recoup their home's value lost in the crash. “Homeowners who would be considering selling could still be underwater or still in too low of an equity position,” said Gumbinger. Builders aren't building: Builders have been cautious during the recovery, since they need to know homeowners will upgrade to the houses they build, said Crowe. According to Crowe, a normal housing market has 1.6 million new single and multi-family homes built annually. Last year, the market hit a million, but single-family homes made up just 700,000, when it's typically a little more than a million. Lenders still aren't lending: Strict lending practices have made it harder for buyers to secure a mortgage since the bubble burst in 2008. And while banks have loosened up a little recently, lending is still significantly tighter than it was before the housing crash. Tight inventory and rising prices can be potential warning signs of a bubble forming, but experts say it's too early to tell. “It's not obvious yet,” said economist Robert Shiller, who helped create the S&P/Case-Shiller Home Price Index, on a potential bubble. If there is one, it's a different type of bubble than the one in 2008. While supply and demand helped inflate that bubble, the demand was enhanced by loose mortgage lending practices that sometimes pushed buyers to take out loans they couldn't afford. “That bubble was fostered by a finance-related push,” explained Gumbinger.